While Modernist designers struggled after World War 1 to transform society with their utopian ideals, a spin-off of Modernist design was taking the consumer world by storm. In contrast to the serious approach of the Modernists, elements of avant‑garde art—Futurism, Expressionism, Cubism, and Constructivism— began to appear as a mass com­mercial style with uncontroversial connotations. As Art Nouveau began to wane, French designers affiliated with the Société de Artistes Décorateurs saw that the middle class desired an unthreatening style as an alternative to the abstract Modernism. In 1912, the French government agreed to sponsor an international exhibition of decorative arts, promoting French dominance in the field of industrial design. The exhibition, scheduled for 1915, was postponed on account of World War I and did not take place until 1925. Held in Paris between April and October 1925, the exposition, “Internationale des Arts Décoratifs et Industriels Modernes”, devoted to the design arts, drew over 16 million visitors. The primary requirement for inclusion (over twenty countries were invited to participate) was that all works be thoroughly modern; no copying of historical styles of the past would be permitted. It was this fair that gave its name to the style now commonly known as Art Deco. In America, the style became variously known as Modern, Modernistic, Jazz Modern, or Streamline Style and borrowed themes of North American Indian, Aztec and Egyptian art. 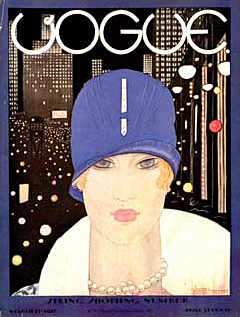 Deco artists sought to create a style that combined simplicity and energy. Even during the worst period of economic depression, the style was associated with glamour, luxury, and extravagance. Parallel stripes, ta­pering forms of aerodynamic streamlining, “speed whiskers,” and the airbrushed ap­pearance of metal made Art Deco a particularly graphic expression of speed and progress. It was a modern design that utilized modern materials—aluminum, plastic, black Vitrolite glass, Masonite, lino­leum. 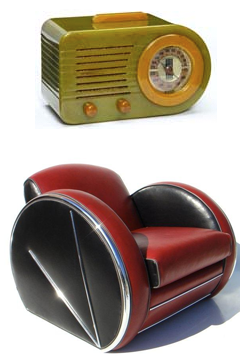 Art Deco was one of the first mass-produced styles to find acceptance with nearly everyone. It was the style of the flapper girl and the automobile, the luxury ocean liner and the skyscraper, the fantasy world of Hollywood and the real world of the Harlem Renaissance. Art Deco affected all forms of design, from the fine and decorative arts to fashion, film, photography, transport and product design. It was modern and it was everywhere. The term “Art Deco” has become associated with the style embodied in, for example, the work of designers A.M. Cassandre and Raymond Loewy. As a pure style without ideology, Art Deco could be applied to any subject or theme. Its distinctive graphic look was identifiable regardless of national origin. And it was also nonpartisan: the Italian and German fascists applied it to their propaganda, as did the French communists, Spanish leftists, and British socialist. Its heroic and futuristic style was equally appropriate when applied to electrical appliances or despotic political regimes. 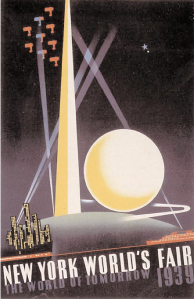 Art Deco’s international dominance ended in the wartime austerity of World War II. The 1960s, another period of widespread consumerism, witnessed a nostalgic revival of the style. This major design force flourished between the two world wars. It evolved from earlier artistic movements, and developed in direct response to the revolutionary changes in scientific, social and political events of the early 20th century and was generally referred to as Art Moderne. Unlike any other artistic movement, before or since, Art Deco became a worldwide phenomenon leaving its imprint on everything from buildings to bobby pins. Heavily influencing the philosophy and culture of the period, the Art Deco style spread throughout almost every aspect of life. The term Art Deco, initially referred to the French-style of decorative arts exhibited in Paris at the 1925 Exposition Internationale des Arts Decoratifs et Industriels Modernes. Since then, the term Art Deco has become a popular catch all, encompassing the many and varied forms of this design which evolved from the second decade of the 20th century to the beginning of World War II. The Art Deco style encompasses Cassandre posters and Donald Desky furniture, bakelite radios and the Chrysler building, the fashions of Paul Poiret and the Hollywood films of Busby Berkeley. For your viewing pleasure, here’s a clip from Berkeley’s 1933 film, Footlight Parade. Graphic Design in America: A Visual Language History. Harry N Abrams, Inc. Publishers. The Russian-born painter Romain de Tirtoff, who called himself Erté after the French pronunciation of his initials, was one of the foremost fashion and stage designers of the early twentieth century. 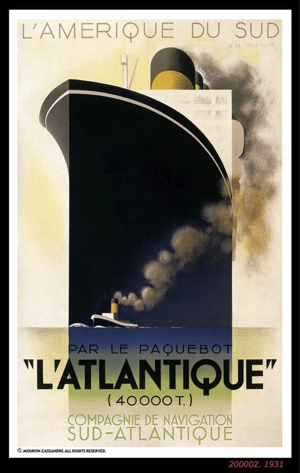 Poster and theatre designer, lithographer, painter and creator of typefaces, Cassandre, one of the greatest commercial artists of this century. Travel back in time and tour the Century of Progress Exposition. The tour is based on contemporary publications. This page and the page on the 1933 Fair are composed of excerpts from the official guidebook of the Exposition. 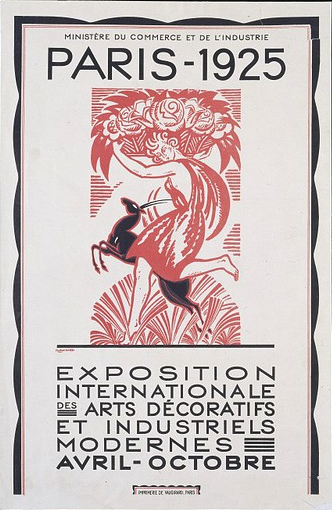 Does anyone know the typeface used in ” Poster for the Exposition Internationale de Arts Décoratifs, 1925″? Larisa, this is a WordPress blog with one of their template themes. Its quite easy to do. Hi! I’ve been reading your blog for a long time now and finally got the courage to go ahead and give you a shout out from Humble Texas! Just wanted to mention keep up the great work! It’s really very good post.I have get a lot of knowledge about America art, France art and so on from your pages.Thank you for your sharing.